Centrally located, the high capacity St Mary's plant is designed to service the greater Sydney Metro area. 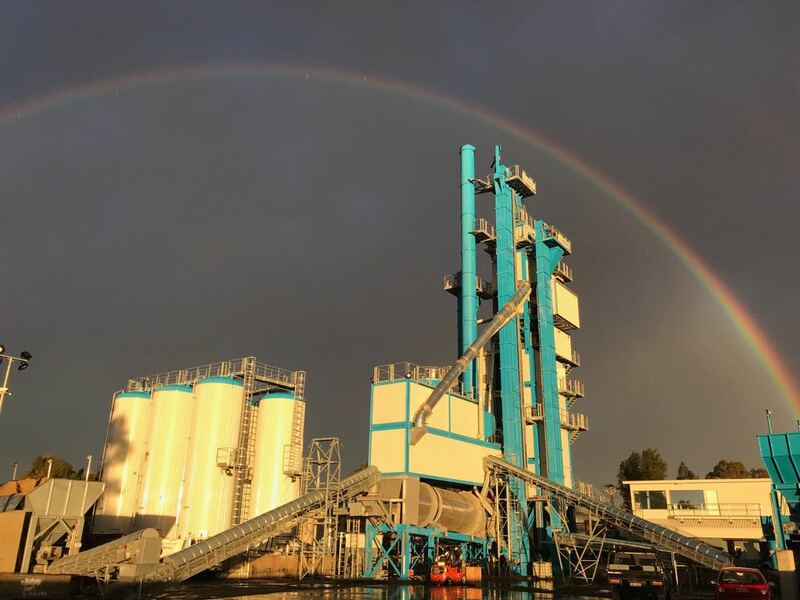 Capable of 24/7 operations, the St Marys plant; a Marini Top Tower 4000S asphalt batch plant, is capable of producing up to 300 tonnes of asphalt per hour. The facility will be able to store up to 500 tonnes of asphalt mix and will also include a bitumen storage facility and depot. The St Mary's plant will also feature a flexible recycling system, with process lines feeding the drum and mixer. With the ability to cater for and produce Hot mix asphalt (HMA), Warm mix asphalt (WMA) and Stone mastic asphalt (SMA), the facility is ideal for sourcing high-quality products. Furthermore, the plant is easily accessible. Its' ability to supply such large quantities and ease of access allows the St Mary's plant to cater for large operations. State Asphalts NSW prides itself on ensuring production goals are achieved whilst meeting environmental best practice benchmarks and requirements, as such the facility was designed to incorporate a unique underground conveyor system to deliver raw materials into the asphalt production process. This was incorporated to lower the emissions of plant and equipment required to move raw materials, minimise air pollution during delivery and ensures products and raw materials are not contaminated during the production process. State Asphalts NSW's St Mary's plant is also capable of utilising Recycled Asphalt products (RAP) in its asphalt products, in accordance with tested and approved asphalt mix designs. State Asphalts NSW prides itself on being flexible in nature, catering to the specific needs of its' clients, including their desire to deliver projects using sustainable methods such as the inclusion of Recycled Asphalt products. Furthermore, State Asphalts NSW is able to ensure the production of quality asphalt products, which have been developed and tested against quality assurance standards with the presence of an on-site laboratory.